This is the next stop I would like to share with you from my road trip in the autumn. 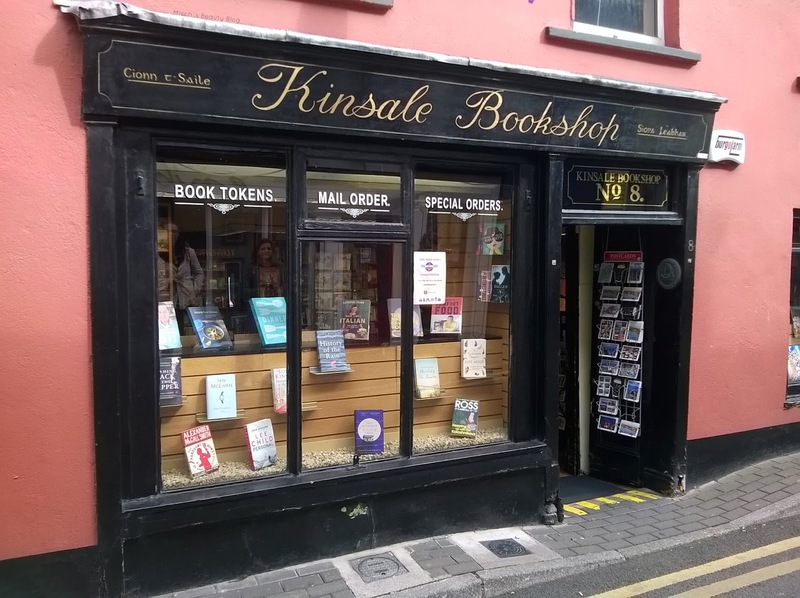 Kinsale was one of your first stops along the Irish coast line. It is located in the south of Ireland, not far off Cork. 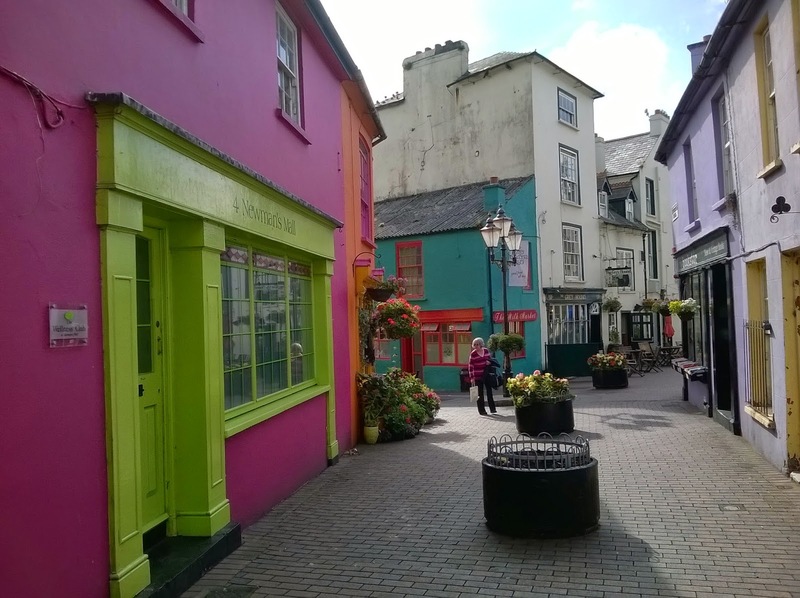 What makes Kinsale particularly special is how colourful the town is. 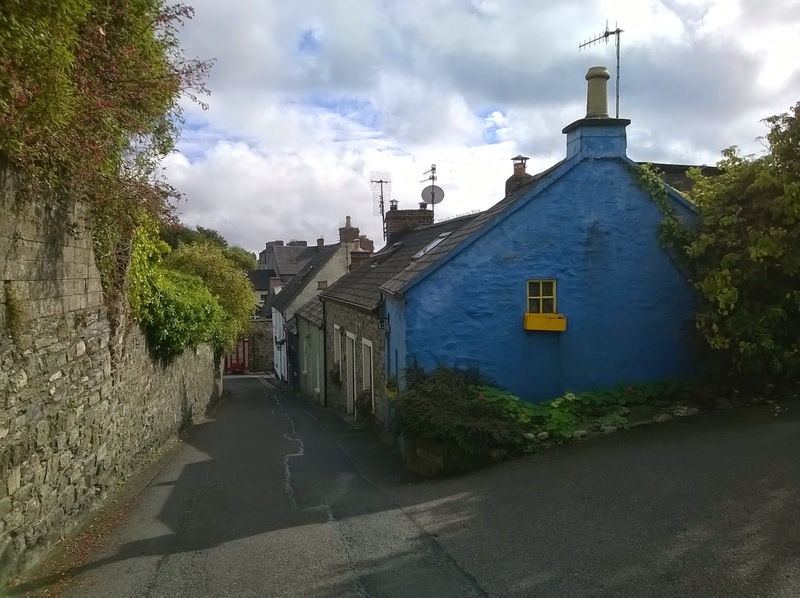 All houses are painted in different, bright colours, and you won't find one boring one. Ones that have less colour on the façade are then decorated with lots of flowers or embellishments. This whole meticulous appearance leaves the impression of a very neat and well-kept town. 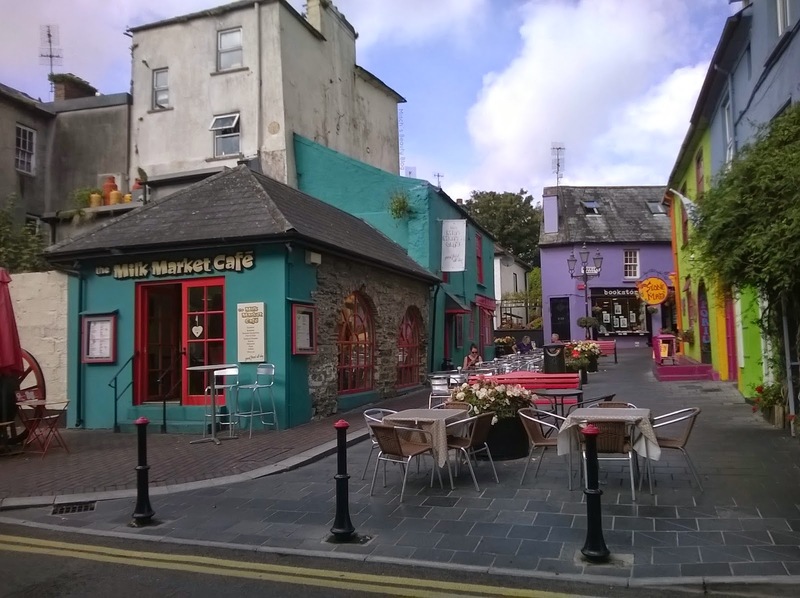 Paired with the numerous cobblestone walls, the colours in Kinsale really accentuate the town and make it a joy to walk through these streets. Kinsale was literally one of the cutest places we visited. It is a small village, but built in a way that you can always turn around one corner and discover something totally new. Still, it is easy to walk everywhere, and it won't take you much time. We passed so many special and individual stores: cafés, bookshop, a café in a bookshop, art supplies, kids' wear, jewellery, and anything else you can imagine. Looking at the windows of all these local shops made walking through the town centre even more interesting. For lunch we then frequented one of the nice cafés we saw during our stroll through the centre. The Lemon Leaf Café made for a great experience, and that's why I'd love to point it out especially. It is such a cute café, decorated nicely and the staff was incredibly friendly and hospitable. We felt really comfortable there, and had a lovely lunch. Their sandwiches are really a great choice! With both wholegrain and white bread, you can have lots of different kinds of sandwiches. 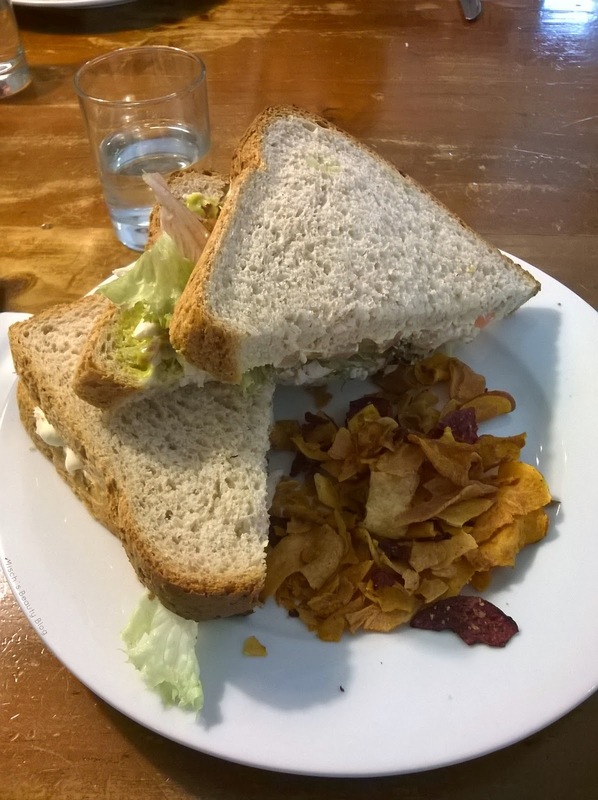 The one I had was wholegrain with avocado, lettuce, cheese, home-made mayo and ham. It was served with a side of sweet potato and beetroot crisps. In addition to the great sandwiches, the selection of cakes is also worth a try. Me and my friends all opted for different ones, and weren't able to decide which one was the best. 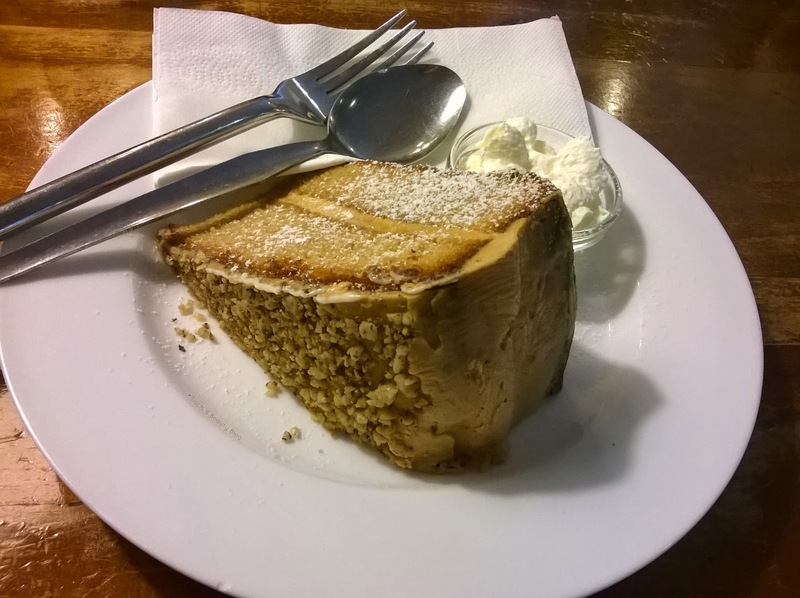 In the picture shown is a walnut coffee cake, but I can also really recommend the carrot cake, banoffee pie and cheesecake. 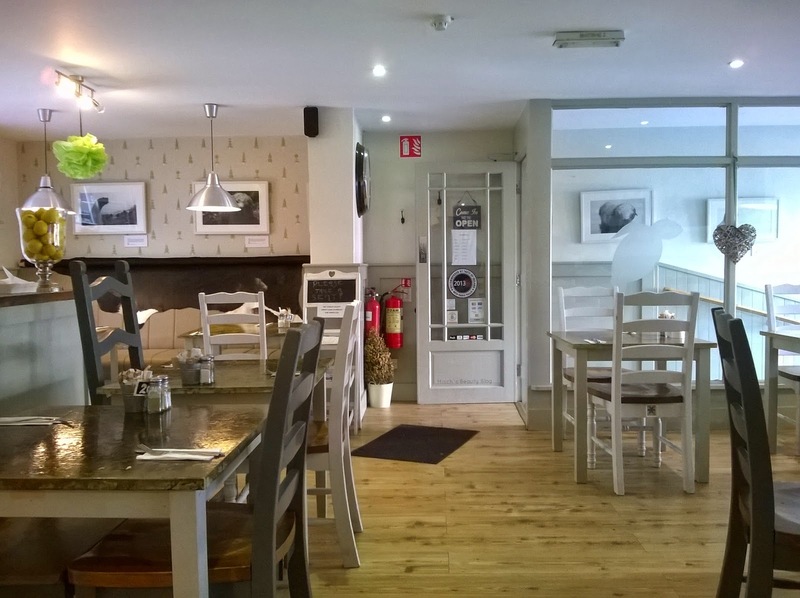 I have to say that I can definitely recommend you go check out Kinsale should you ever find yourselves in the area. It's not big, but it makes for such a pleasant afternoon stay that you can't miss it! Has anyone of you ever been there?